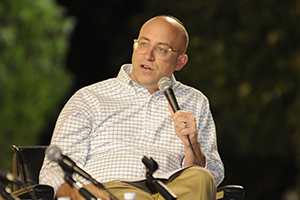 Yehuda Kurtzer is President of the Shalom Hartman Institute of North America. The central existential threat to Jews in America today is the toxic nature of partisanship in American political culture. I believe we are at a critical juncture for a new American Jewish conversation on this issue that asks us to consider how our political choices as Jews implicate our collective identity as Jews in America. Thankfully, Jews have come a long way as Americans and as stakeholders in American democracy, which obligates us to act politically not just on behalf of parochial Jewish interests but also on behalf of what is best for the country. And yet the cost of toxic partisanship — a social ill that Jews are complicit in helping promote – is severely taxing Jewishness and Jewish communal life in America. To engage this issue is not to argue for “neutrality,” political centrism, the implausible goal of bipartisan governing or toothless consensus politics. Nor does this critique necessarily require Jews to vote differently at the ballot box. But it will require us to think about how Jewish communal life can be salvaged from the political climate in which it is being savaged, and to address what is lost and what is gained in the quest for Jewish thriving in America by our participating, gleefully, in what seems to be a dismantling of the American civic project. “ In this climate of partisanship, the morality of being right has effectively supplanted the morality of being kind. Character and conviction disappear and are replaced by the candidate’s capacity to articulate a central message, which aligns with an electorate that thinks increasingly of their political choices in terms of declaring loyalty. This is how, in 2017, half a million voters viewed child molestation as less of an intolerable deviance than belonging to the Democratic Party. And for the individual, partisanship is also convenient. It is with bemused shame that on election night of 2016 I found myself stopping to explain to my children the nuances of this race or that and just told them to “cheer for the blue team,” as though democracy is reducible to color war. First and foremost is anti-Semitism. Once the last vestige of Jewish collective identity, anti-Semitism is now explicitly a partisan football. Quite quickly, it seems - after generations of monitoring and tracking the hatred against Jews as one of the defining features of mainstream Jewish institutional behavior - we now have a divide in the American Jewish community between the anti-Semites on the right whom the left rightly fears (those in the burgeoning white nationalist and “alt-right” movements, given a boost by the administration’s dog-whistling, gaslighting and, in some cases, tacit endorsement) and the anti-Semites on the left whom the right rightly fears (those who give a pass to violence against Jews in the name of anti-Zionism, and who otherwise discredit the Jewish national rights that are accorded to all other ethnic groups). The general rule these days is that if you find anti-Semites in your political party, you are likely to try and be in coalition with them anyway, to attest to their character as a means of shielding against the allegations, and to explain away or justify their dangerous beliefs by arguing that they are superior to the other political side. Partisanship is becoming an instrument for giving cover to anti-Semites with whom you share other political worldviews. This is basically insane. It means that Jews are gambling with dangerous alliances, and possibly opting for the triumph of their values over their bodies, in the naive belief - never before tested! - that today’s version of anti-Semites, once politically emboldened, will scale back these instincts, normalize their views of Jews and not actually enact their pathological beliefs into practice. Instead, we must demand some consistency across the board in Jews fighting anti-Semitic ideas and people wherever they manifest in our political system. And still, whenever I speak about this issue, any audience is likely to agree and still argue that the worse anti-Semites are on the other side, and that to say otherwise is to engage in moral relativism. This is, to borrow a phrase from intersectional theory, the Jewish community’s unique form of “the oppression Olympics,” and it ends with a massive tie for last place. The second problem with partisanship for American Jews is that it reduces Jewish power. People don’t like talking about Jewish power out loud because, despite good intentions, it either sounds anti-Semitic itself or gives fodder for anti-Semites. But Jewish power in America has been essential to Jewish thriving in America, and it has required instruments of solidarity - and specifically, the technique of presenting to the rest of the world an image, even if a facade, of communal unity. The theory was that Jews succeeded in America in part by preserving a culture of not “airing our dirty laundry in public” - which is to say, still fighting politically with one another in community and in the ballot box but preserving some modicum of internal communal coherence. This theory tells of a time when American Jews were far more vulnerable, when Jewish collective belonging was obvious, and when Jews were much less likely to be politicians themselves and therefore needed to traffic in influence more than in actual power. This lost past - largely imagined, mostly undesirable - cannot be reclaimed. Have Jews have traded security for individual power at the group's expense? Moreover, as my colleague Tal Becker likes to say, not wanting to air one’s dirty laundry in public should not be an excuse for - as it often becomes - not wanting to do the laundry. The dirty laundry metaphor too often becomes an instrument for silencing dissent and silencing activism to correct moral flaws. Yet even so, the consequence of this loss of collective consciousness is real and must be acknowledged. Jews have traded the security for the collective that comes with consolidated power for the promise of power that can be attained by individual Jews even if it comes at the cost of the collective. Individual Jews can achieve unprecedented positions of power as Jews in 2018 America, but whether or not the Jewish community can wield collective power anymore is an open question, especially since there are now politically powerful Jews warring against each other on both sides of the aisle. Here again, Jews are simply Americans: The consensus politics of the mid-20th century in America were a postwar necessity, and so in similar ways, as Noam Pianko argues, American Jews gravitated to the terminology of “peoplehood” as a matter of political convenience. This term helped American Jews hold on to some language of ethnicity, and strengthened their capacity to fight existential threats, while shedding their “otherness” and integrating as Americans. The language of peoplehood helped to establish American Jewish group identity and to form the basis for American Jewish political power. And while I am not always a fan of the hegemonic power of the term “peoplehood” and the way that some of its users deploy it to suppress individualism and attitudes that they understand to be disloyal, I fear that the foundations of Jewish power in America, which in turn allow individuals to thrive in American politics, depend more heavily on this group identity than its critics like to admit. Third, I believe that partisanship is becoming bad for Judaism - that is, the discourse of ideas, practices, beliefs and behaviors that define, in action, who Jews are as people. Partisanship is making Jews conflate concrete political positions with selective and specific expressions of Jewish values as a means of consolidating the two. We do this by constructing large ideological lenses with which we understand the world - the commitment to social justice, global interventionism, support for the State of Israel, free enterprise - and then turning them into totalizing frameworks of “Judaism.” These lenses borrow what they need from Jewish tradition as prooftexts, and thus subordinate the complexity of Torah to incredibly specific policy frameworks that quickly become partisan. As a result, we see ourselves as Jews comfortable in America because our Jewishness and the language of partisan politics we support seem completely aligned. And by this logic, the central obstacle for many Jews in America is the political-ideological interpretations of their Judaism by other Jews. Our most obvious allies become our fiercest foes. One particular manifestation of this problem is that denominational labels are now mapping closer and closer on partisan political labels, so that those labels now reflect political concerns as much as, if not more than, theology or practice. Synagogues divi de increasingly by political leanings as a significant factor in their identity (which will probably happen even more with the repeal of the Johnson Amendment). American Jews are replacing most of our other ideological commitments with partisan politics as the primary instrument of our ethnic and religious identities as Jews. We may even soon see partisan political identity as a more effective descriptor of Jewish diversity than denominational labels. Each of those identities has become idiosyncratically and self-servingly narrow, which diminishes both. Finally, in this climate of partisanship, the morality of being right has effectively supplanted the morality of being kind. Derech Eretz – the basic, human value of menschlichkeit – certainly has no partisan label. But when we want to win more than we want to be decent, it will always be the first thing to go. And if we want to hold others accountable that their policies and beliefs also live and operate within the moral framework of the tradition, the only way we will be able to do so is if we engage with kindness toward those who disagree with us, and if we credit them with the possibilities that their policies are also manifestations of the best of their values. The only way to do this is to resist the partisan ethos of demonization, which means American Jews trying to transcend the cultural context that we inhabit. For those American Jews who care about our collective future as Jews, then, I urge a massive reconsideration of the agenda. Some Jews insist that the main existential threats facing Jews are the enemies who we see rising against us; others insist that the main threat is the moral character of our people. Either way, our future lies in whether we remain an “our.” For American Jews, this requires us becoming countercultural on American partisanship. How to achieve this is far from clear. In general, it may be folly to ask American Jews to act in countercultural posture to broader American trends. Moreover, I think most American Jews who care about politics would rather win on the issues than preserve the sense of Jewish peoplehood and the integrity of “Judaism” that I have argued are compromised in this climate, and would trade - some gleefully, some mournfully – what is lost in this calculus for what they stand to gain on the issues that they care about. Most of the suggestions that have been bandied about thus far focus on civility (invite a Trump supporter for Shabbat dinner) or empathy (the endless demands that blue-staters read “Hillbilly Elegy” and the like to understand the worlds they do not see and the worldviews they cannot understand). Noble as these efforts are, they are insufficient. I am arguing for the need for much larger-scale attention - in ideas, education and politics - to the core paradigm of how American Jews think about the relationship between Jewishness and Americanness, a hybrid identity that has been astonishingly successful for the thriving of individual Jews for several generations without being fully interrogated for the trade- offs involved. American Jews are collectively in need of a new narrative that can encompass as many American Jews as possible in its conceptual framework, something with the rhetorical and spiritual power of how Louis Brandeis articulated the compatibility between Jewishness and Americanness in the 1910s and ’20s to overcome accusations of Jewish dual loyalties, and to pave the way for American Jewish thriving throughout the 20th century. For Brandeis, the relationship between Jewishness and Americanness was not predicated on purely political alignment between the two ideologies – what today’s politicians call “no daylight” – but was rather defined by how the big ideas of the two, the great stories they represent, reinforce one another: the nobility of hard work, the pursuit of justice, egalitarianism, charity, progress. Brandeis saw in Zionism an expression of Judaism that would make him a better Jew and a better American, because its broad values, aims and concerns matched the overarching values and meta-narratives of what it meant to be an American. Brandeis had to do this in part as a defensive strategy, to stave off the accusations of Jews as dually loyal and to make the case – to outsiders, but also to Jews – of the possibility of Jewish at-home-ness in America. That story is now finished; no one now really questions whether American Jews can be at home. Now we are left to ask: Who indeed, collectively speaking, are American Jews?